It’s something most owners hate to think about, but the reality is your horse won’t live forever. 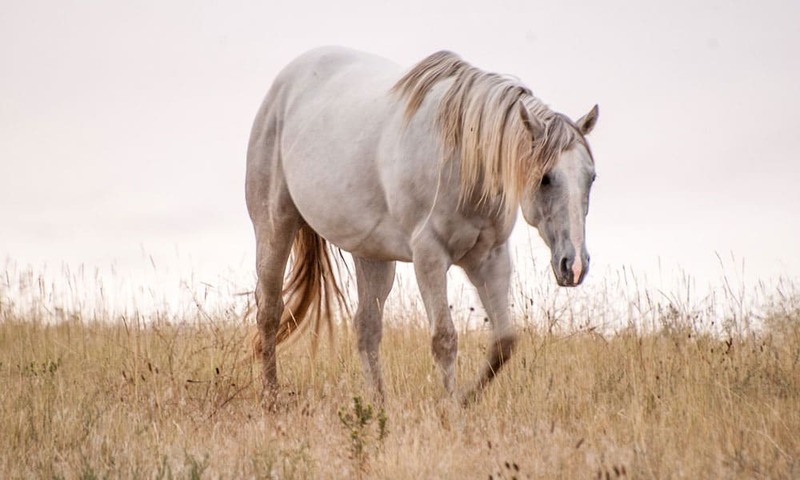 I’m sure you’ve come across some senior horses that are still standing strong in their late twenties or even thirties. The truth is their lifespan is much shorter than our own. The average horse lives between 25 and 35 years. The span of 10 years is because of varying factors like breed, size, genetics, and proper care. Ponies tend to live longer than larger horses and can be seen thriving well into their late thirties and even forties. Arabians are known for their longer lifespans, while drafts tend to have much shorter ones. Proper care will definitely support vitality. This can include a good diet, exercise, turnout, companionship, and much more. Health issues are commonly to blame for early euthanasia. Most horses only have about a 50% chance of dying of age. Colic and soundness issues can affect an older horse much more aggressively. There has been a few documented cases of horses living exceptionally long. “Old Billy” is said to have lived to 62 years old. He was born in England in the year 1760. More modern claims include Rosie a 54 year old donkey, Orchid a 50 year old Arabian cross, and Shayne a 51 year old Irish Draught / Thoroughbred. Every second is precious when spending time with our beloved animals. I encourage you to be grateful for all the years you might have with your horse. Be kind to him and shower him with love. (Originally published in February 2017).